Legionella infections caused by contaminated water are a widespread problem worldwide. Discharge lamps like mercury vapor lamps are widely known for the disinfection properties of their radiation, but they suffer technical disadvantages, like high voltages and toxic content, and are, therefore, not suitable for some infection control applications. New high-intensity ultraviolet (UV) and violet LEDs offer new approaches for Legionella control, because these bacteria are significantly light sensitive compared to other pathogens. One of the most important infection pathways is the inhalation of Legionella-containing aerosols during showering. This problem could be reduced by a single strong UV LED within the shower head, which irradiates the passing water for some milliseconds. This practice can be especially beneficial in hospitals and care facilities. UV light offers only a limited penetration depth, however, even in pure water. To disinfect larger water volumes, e.g., in water dispensers, visible violet LEDs are more appropriate. Unfortunately, up to now, neither approach has been given much attention by potential users. Brenner DJ, Steigerwalt AG, McDade JE. Classification of the Legionnaires’ disease bacterium: Legionella pneumophila, genus novum, species nova, of the family Legionellaceae, familia nova. Ann Intern Med. 1979;90(4):656-658. doi:10.7326/0003-4819-90-4-656. von Baum H, Luck C. Ambulant erworbene Legionellenpneumonie. Bundesgesundheitsblatt Gesundheitsforschung Gesundheitsschutz. 2011;54(6):688-692. doi:10.1007/s00103-011-1287-0. Robert-Koch-Institut. Pontiac-Fieber: Diagnostische Möglichkeiten zum Nachweis von Legionellen als Ursache. Epidemiologisches Bulletin; 2011. https://www.rki.de/DE/Content/Infekt/EpidBull/Archiv/2011/Ausgaben/28_11.pdf?__blob=publicationFile. Robert-Koch-Institut. Legionärskrankheit in Deutschland (2001 bis 2013). Epidemiologisches Bulletin; 2015. https://www.rki.de/DE/Content/Infekt/EpidBull/Archiv/2015/Ausgaben/13_15. pdf?__blob=publicationFile. Bartram J. Legionella and the prevention of legionellosis. Geneva: World Health Organization; 2007. Henri V, Helbronner A, Recklinghausen M de. Stérilisation de grandes quantités d’eau par les rayons ultraviolets. Compt Rend Acad Sci. 1910;1910(150):932-934. Wacker A, Dellweg H, Weinblum D. Strahlenchemische Veranderung der Bakterien-Desoxyribonucleinsaure in vivo. Naturwissenschaften. 1960;47(20):477. doi:10.1007/ BF00638304. Schmid J, Hoenes K, Rath M, Vatter P, Hessling M. UV-C inactivation of Legionella rubrilucens. GMS Hyg Infect Control. 2017;12:Doc06. doi:10.3205/dgkh000291. Chevrefils G, Caron E, Wright H, et al. UV dose required to achieve incremental Log inactivation of bacteria, protozoa and viruses. IUVA News. 2006;8(1):38-45. Inoue SI, Naoki T, Kinoshita T, Obata T, Yanagi H. Light extraction enhancement of 265 nm deep-ultraviolet light-emitting diodes with over 90 mW output power via an AlN hybrid nanostructure. Appl Phys Lett. 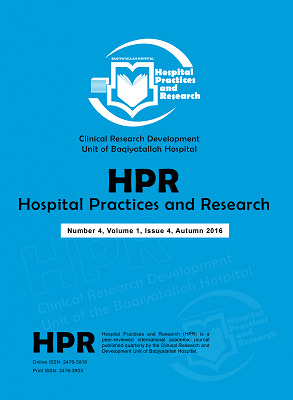 2015;106(13):131104. doi:10.1063/1.4915255. Hessling M, Spellerberg B, Hoenes K. Photoinactivation of bacteria by endogenous photosensitizers and exposure to visible light of different wavelengths - a review on existing data. FEMS Microbiol Lett. 2017;364(2). doi:10.1093/femsle/fnw270. Schmid J, Hoenes K, Rath M, Vatter P, Spellerberg B, Hessling M. Photoinactivation of Legionella Rubrilucens by Visible Light. Eur J Microbiol Immunol (Bp). 2017;7(2):146-149. doi:10.1556/1886.2017.00006.